Nolan Lebovitz was recently featured in an article for The North Shore Weekend in Chicago, Illinois. 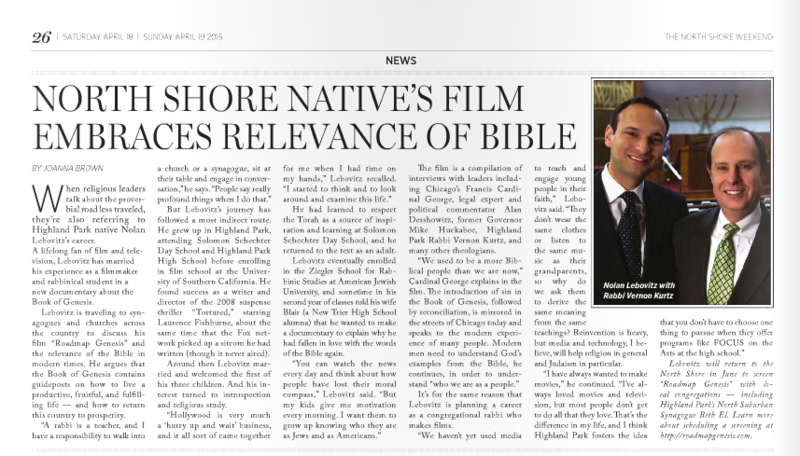 The article spoke about Lebovitz, the producer of “Roadmap Genesis” being a resident of the North Shore community and his journey of becoming a major Hollywood filmmaker and latest effort producing a film that focuses on the relevance of the Bible for society today. The article goes on to discuss the upcoming screening event scheduled in June for the film. That event will take place at Highland Park’s North Suburban Synagogue Beth El, on Sheridan Road. The event is open to everyone in the community. 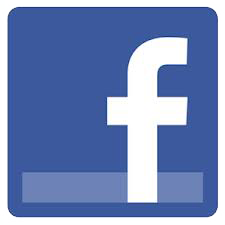 If you’re interested in attending, we encourage you to visit the Roadmap Genesis Facebook page and join the event scheduled there. You can read the entire article on page 26 of the online version of The North Shore Weekend magazine. Francis Cardinal George, who appeared in featured clips within “Roadmap Genesis”, passed away this past Friday after a battle with cancer. His words and insight into the messages and meanings found in the book of Genesis were treasured and appreciated as we released and continue to promote the film. 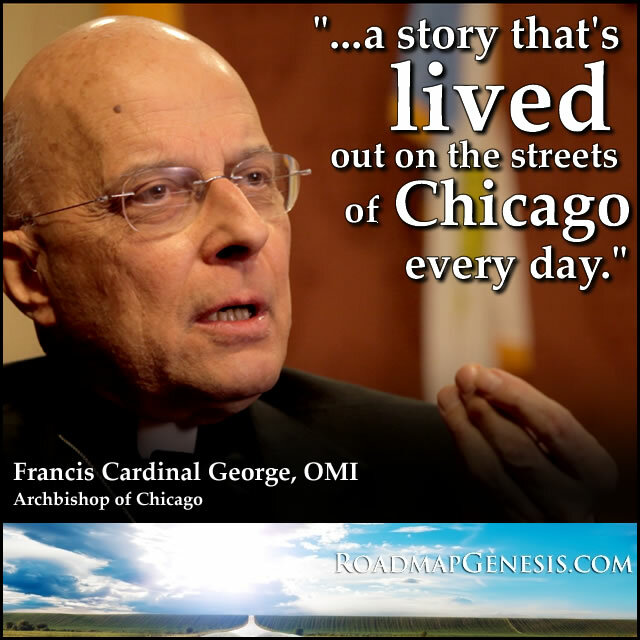 Unique to to his service, Francis Cardinal George, was one of the only Archbishops of Chicago that was actually born in Chicago. He was born on January 16, 1937 and passed away on April 17th, 2015 at the age of 78. Here’s a clip of Francis Cardinal George sharing some specific insights on video that didn’t make it into the final cut of the film. 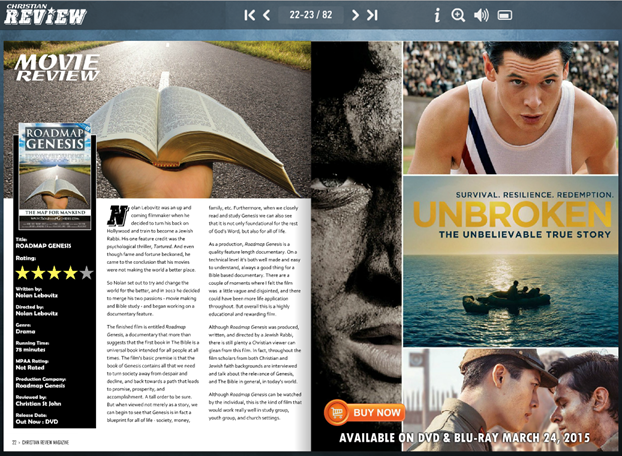 Roadmap Genesis was recently reviewed and featured in the Christian Review magazine’s most recent publication as well as an additional article about the film published on their main website. 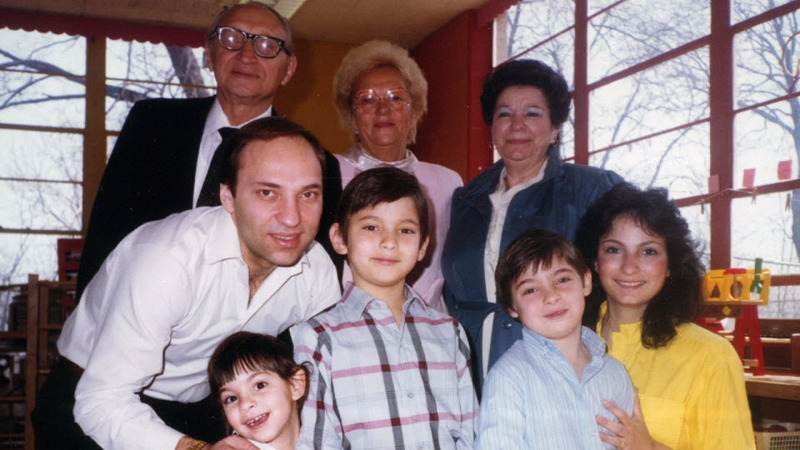 The article, written by Christian St. John, Senior Editor and Contributor to the site shared the story of director, Nolan Lebovitz’s journey from Hollywood filmmaker to Jewish Rabbi. The review appears on Page 22 and received a 4-out-of-5 star rating by the site. As the effort and message of the film confirms, the paragraph below from Christian St. John spoke volumes of how we believe this film is poised to empower viewers to change their world regardless of their religious backgrounds and faiths. 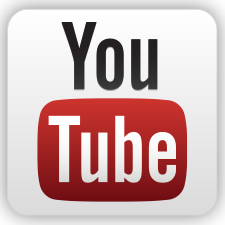 Although Roadmap Genesis was produced, written, and directed by a Jewish Rabbi, there is still plenty a Christian viewer can glean from this film. In fact, throughout the film scholars from both Christian and Jewish faith backgrounds are interviewed and talk about the relevance of Genesis, and The Bible in general, in today’s world. The message shared in the stories of Genesis are a message for all of humanity, truly a roadmap for mankind. 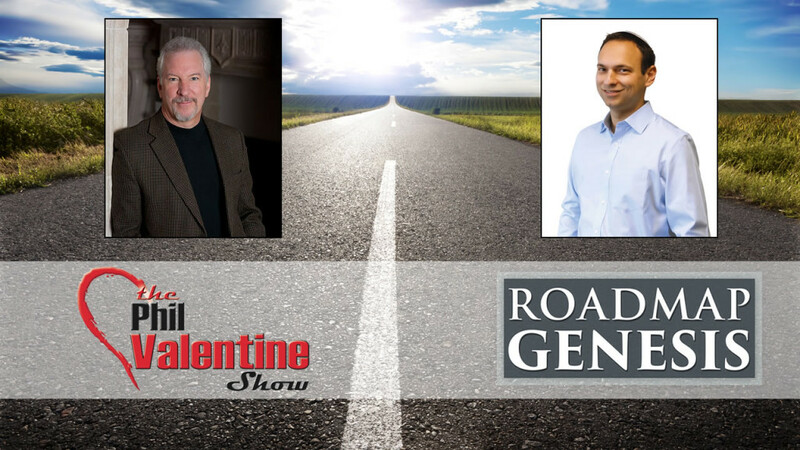 Erick Stakelbeck, is the host of the weekly CBN program “The Watchman with Erick Stakelbeck”. He shares his thoughts on the Book of Genesis and specifically relates to how we can see God all around us in creation. Perhaps the most moving imagery of God is when we experience and see the miracle of birth. Watch the video to hear more of Erick’s thoughts on Genesis and the film, “Roadmap Genesis”. Erick Stackelbeck also regularly contributes to TheBlazeTV. As well, he has authored the book “The Brotherhood: America’s Next Great Enemy“. You can follow Erick on Twitter @staks33. If you’re interested in seeing more videos like this, you visit the Roadmap Genesis YouTube channel and subscribe to receive notifications when new videos are released and published.